Event planners and marketers have a lot to juggle. Finding great speakers, curating awesome content, selling sponsorships, and delivering an exceptional attendee experience encompass a small percentage of their day-to-day activities. Still, they’re activities that take up a large amount of time. That’s why organizers of B2B events are increasingly adding Event Tech to their MarTech stack. 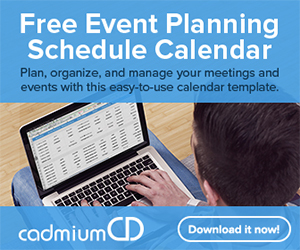 At CadmiumCD, we’ve spent over 17 years creating and polishing the best possible software solutions for event planners’ unique challenges. Today, we’re going to break down a few of the processes organizers can streamline with Event Tech. One of the biggest challenges B2B event planners face is curating great content. We want speakers who incite action, educate, and entertain our attendees. It’s important that every speaker’s presentation is on point with our mission. Putting out a call for papers is a great way to ensure good content for your event. Managing all those submissions, however, is not easy. That’s where Event Tech comes in. Adding submissions and review software, like the Abstract Scorecard, to your MarTech stack is a great way to manage all the submissions you’ll get. You can also pull together a committee of industry experts who can review submissions and recommend content. Here’s an article on how one user actually increased her reviewer response rate to 100%! Once you select your event’s content, the next challenge is managing speakers. Speakers are notoriously hard to manage. Tracking submissions through email and spreadsheets is one way to do it, but it’s not ideal. The thing is, speakers are busy. They’re often experts in their given field, and have a tremendous amount of work that doesn’t relate to your event. Often, they’re not even getting paid to speak at your event. Event Tech like the Conference Harvester can help you track deliverables and follow up with your speakers effectively. Speakers will appreciate it to, because they get a simple task list that they (or their assistants) can complete piecemeal. Spreadsheets can also be useful to plan and schedule your sessions, but again, not ideal. Event Tech allows you to plan and build a schedule around the content you’ve selected during your review process. You can assign speakers to presentation rooms and manage information through an event content management system. The best part is that this updates content in your event website and event app, so your attendees always have access to the latest content and schedule. For most B2B events, revenue is one of the most important markers of success. This usually involves running a trade show or selling sponsor opportunities. These could be simple banner ads on your event website, a sponsored session, or graphics on your shuttle bus. Digital or not ‐ meeting planners want to maximize their revenue with whatever resources they have available. The challenge is that this puts added pressure on you and your sales team. Event Tech eases that pressure. Jackie Stasch, Senior Manager of Corporate Relations, for example, uses the Expo Harvester to achieve expo sales success. Exhibitors appreciate it because they can purchase booth space and sponsorship items, then submit the supporting assets planners need from them, all in one place. For planners, this is a perfect environment to track deliverables and keep tabs on what opportunities they’ve sold. In addition to following up with speakers and exhibitors about what tasks are due, it’s important to have a direct channel to reach attendees. Event Tech comes with built-in communication tools like email and in-app push notifications. You can segment lists based on completed tasks and send messaging with pre-built email templates. There are also tools like eventScribe Boost that allow planners to communicate with staff members and other stakeholders onsite, give speakers access to enhanced tools for submitting content last minute, and sending out messages to attendees when the schedule changes. Engagement is a big buzzword for event planners these days. It’s also something marketers crave. Driving trackable actions shows that your programs are working. Interaction with your content and stakeholders demonstrates ROI to internal and external stakeholders. Drive trade show booth traffic via a scavenger hunt. Increase app adoption with a multi-channel Event Tech marketing approach. Share conference information and drive specific actions with digital signage. Get real-time results and interaction with an audience response system. Marketers know the value of content. Marketers who use B2B events as part of their strategies know that lots of content happens in real-time at events. Having a way to capture and distribute that content to attendees and non-attendees alike is crucial. Adding Event Tech like Conference Proceedings to your event, then sharing videos with synchronized audio and slides with your database is a great way to do this. Having a distribution channel like eventScribe Websites and Apps is also important. Many attendees will have already downloaded the app, so all you have to do is send a push notification or email and voila!, your subscribers have instant access to all your conference content. It’s like taking your conference sessions and repurposing them as tens or even hundreds of webinars! The best B2B events are data-driven events. Adding Event Tech to your MarTech stack can help you bring fresh insights to your reporting. 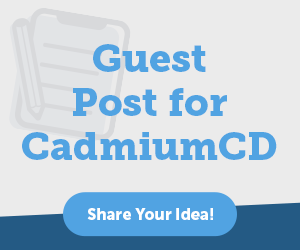 Tracking app downloads, content uploads, demographics, and more is simple through tools like myCadmium, for example. Gathering qualitative and quantitative data from attendees is also made easy by conference evaluation tools like Survey Magnet. Event planners and marketers can use this data to create new products, improve attendees experience, or determine content needs for their future events. Awards programs are also a big part of B2B events. Identifying and recognizing industry leaders, for example, is a great way to become a thoughtleader and establish legitimacy around your B2B event. The challenge is sorting through all the submissions and choosing the right individuals. Event Tech like the Awards Scorecard are a great addition to your MarTech stack. It allows planners and marketers to manage submissions, assign judges to review groups, and select recipients based on collective feedback. As an event planner or marketer, you already have enough to worry about. Adding Event Tech to your MarTech stack is a great way to collect, manage, and share content with all stakeholders involved. Event Tech brings your B2B events together, streamlining your event planning activities and saving your organization time and money. Get a free copy of the “Advances In Event Tech” eBook to learn how Event Tech can streamline your B2B Events. One Response to " 9 Ways To Streamline Your B2B Events with Event Tech "